← Cyber Monday Web Hosting Specials – Up to 75% Off! Seven Days of Christmas Sale – Holiday Web Hosting Specials and Coupons! It’s that time of the year where everyone is shopping and looking for a bargain! While not many people receive web hosting as a gift perhaps we can lighten your monetary burden and give you some amazing deals for this holiday season. How old is this chocolate anyway? 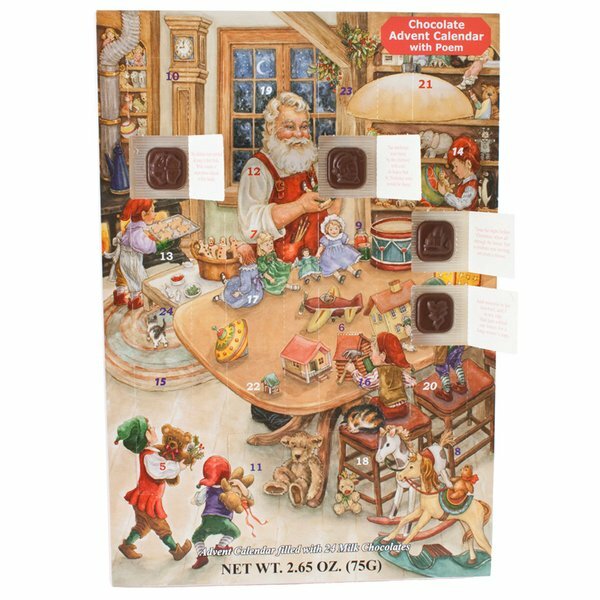 You may be familiar with the ever so popular Twelve Days of Christmas song or those amazing chocolate advent calendars (the chocolate always tasted funny, didn’t it?). Well we’re going to do our own spin on this with the Twelve Seven Days of Web Hosting Specials! Every day leading up to Christmas (and on Christmas itself) there will be a new unique promotion! What lands on Christmas Day? Who knows! It may be a Christmas Miracle (probably not – but it’ll be a really good deal)! Today’s deal is an $8 Domain Name Registration by using the coupon code HAWKHOLIDAY8! This entry was posted in Promotions and tagged holiday hosting coupons, hosting coupons, webhosting. Bookmark the permalink. 3 Responses to Seven Days of Christmas Sale – Holiday Web Hosting Specials and Coupons! Oh, hell yeah! Been wanting to try HawkHost. Glad to see you didn’t do something just for Black Friday. Are these discounts recurring?